The type of driveway or roll up gate you have will determine what kind of gate opener it can use. Many modern models now come with a variety of safety and accessibility features, all of which are worth considering. When it comes time for you to upgrade to a new model, or when you discover a problem with your current opener, Gate Repair NYC is the one to call. The photo eye sensors are what the gate opener uses in order to detect obstacles in its way. This type of feature is absolutely vital for automatic gates, as without it, the system can end up closing on a person or a vehicle. The lenses of these sensors can get damaged or covered with dirt, which can prevent them from working properly. Another common issue is sensor misalignment. If they aren't set to face each other correctly, or if they get knocked out of alignment, you may find your roll up gate keeps opening back up every time you try to close it. If you have a particular old gate opener it may be time to consider replacing it with a more modern model. Newer models have a lot to offer you in terms of security and convenience. 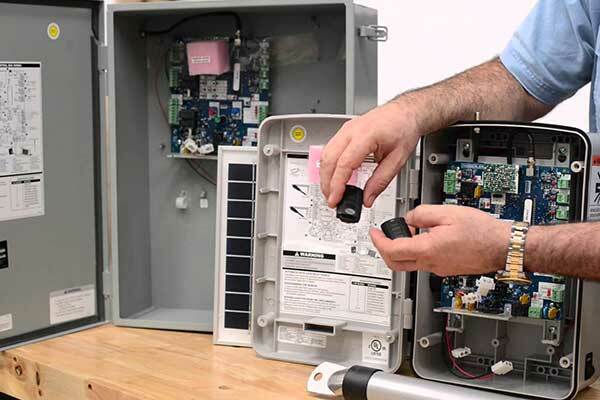 From solar powered units to WiFi compatible models, there are all sorts of options to choose from. Gate Repair NYC works with leading industry brands like Eagle, LiftMaster, and FAAC. There are a number of different ways for you to control your automatic gate opener. The first and oldest method is the classic remote control. Of course, you'll have to remember to take it with you, and make sure not to lose it. Another option is to have a wireless keypad installed. All you'll need to do is input the correct password and your gate will react as if you said "open sesame". Then there are more modern options, like turning your smartphone into a remote via a special app. 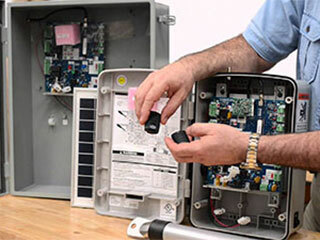 Gate Repair NYC will happily consult and advise you on the different available models, and then install your new electric gate opener and make sure that it's working perfectly from day one.